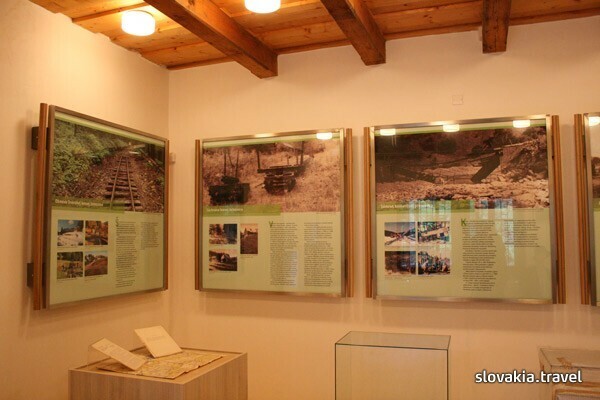 The entrance hall is dedicated to the historical context of the origin and operation of the Orava Logging Railway; it comprises the introductory information board with texts and photos. Models of logging vehicles from the era before the construction of the logging railways: a dam, rafts, wooden bridges, a model of a gamekeeper`s lodge, and tools for wood-working are installed in the main showcase on the side of the first room. The dominant exhibit in the second showcase is the model of the swaths that ensures the logging railway a place in the history of technology. There are signaling hoardings and an information board from the logging railway placed around the model, as well as wooden models for the production of moulds from which parts for the rail vehicles were cast. A robust splitter that served for the manipulation with the logs constitutes a special exhibit. 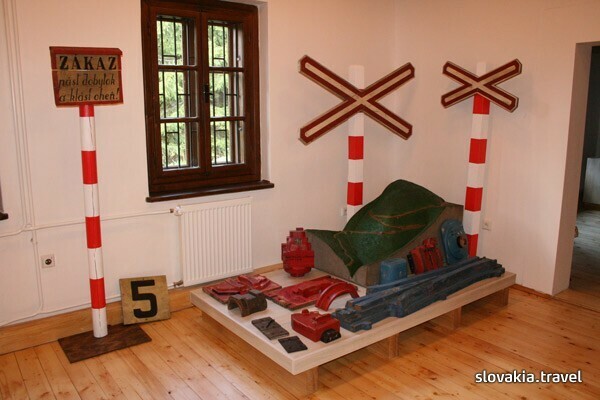 The last room depicts the past and the present of the Orava Railway. By the window, there is the installation of two wood-cutters working in the forest. They are figurines equipped with the period work clothes and the handicraft tools used upon the logging in forests. The exposition also comprises three showcases. The first showcase contains the period communication means used at the Logging Railway: a telephone, batteries, and lanterns. The second showcase is dedicated to the Orava Co-ownership Association. The third showcase contains protocols from the construction of the Logging Railway. Pension Kamenec is located at the crossroads of roads to Poland and the Czech Republic. It offers a wide range of possibilities to relax. Pension Kamenec is situated in an ideal location for active vacation. The pension includes a modern restaurant with pizzeria, bar, terrace, ski rental and bicycle rental.